This book aims to provide cognitive behavioural therapists with a comprehensive set of worksheets which they can photocopy and use with adult clients. A range of worksheets have been brought together so that therapists can easily access a variety of tools. As well as attempting to cover the ‘basic’ techniques of cognitive behavioural therapy (CBT), it also has worksheets specifc to presenting problems, for example, obsessive-compulsive disorder (OCD), panic and worry. It is assumed that practitioners will already have an understanding of cognitive behavioural principles and be looking for practical aids for therapy. Therapists will need a clear understanding of cognitive behavioural principles, core therapy skills, a good therapeutic relationship and a good cognitive behavioural formulation before such worksheets can be used helpfully, and therefore ethically, with clients. Therapists will then be able to pick and choose which worksheets could be helpful for their clients. 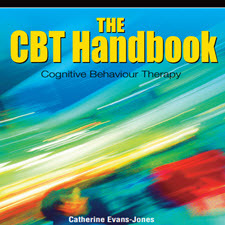 understanding of cognitive behavioural principles and be looking for practical aids for therapy. Therapists will need a clear understanding of cognitive behavioural principles, core therapy skills, a good therapeutic relationship and a good cognitive behavioural formulation before such worksheets can be used helpfully, and therefore ethically, with clients. Therapists will then be able to pick and choose which worksheets could be helpful for their clients. The aim of CBT is to help people overcome their emotional diffculties through helping them identify and change their thoughts and behaviour. The word ‘cognitive’ refers to thoughts, images, memories and attention. The emotional diffculties for which people might seek CBT are varied, for example, depression, phobias or worry. The behaviours which can be consequences and causes of such emotional diffculties can also vary; they include reduced activity levels, avoidance of social situations or excessive cleaning. CBT was developed from the theories of Ellis (eg Ellis, 1957, 1961, 2001) and Beck (eg Beck, 1963, 1964; Beck et al, 1979). They proposed that it is people’s interpretations of situations that cause distress and therefore also their associated coping behaviour. For example, someone who views themselves as a failure (cognition) may feel ashamed and depressed (emotions) and avoid others (behaviour). Such coping behaviour may then reinforce the interpretations and distress. For example, avoiding others gives the person less opportunity to receive positive feedback from others. Thus the person becomes stuck in a vicious cycle. The cognitive behavioural model proposes that people can identify such vicious cycles in their current lives and then change their thoughts and behaviours in order to reduce their distress; for example, selecting occasions when they feel able to meet people (behaviour) and consequently receive positive feedback which then changes their view of themselves (cognition). این کتاب با هدف ارائه درمانگرهای شناختی رفتاری با مجموعه ای جامع از برگه های کارگاهی که می توانند با استفاده از مشتریان بالغ عکس بگیرند. طیف وسیعی از برگه ها جمع شده اند تا متخصصان بتوانند به راحتی به ابزارهای مختلف دسترسی پیدا کنند. همچنین تلاش برای پوشش دادن تکنیکهای «پایه» درمان شناختی رفتاری (CBT)، همچنین دارای ورقهای مخصوصی برای ارائه مشکلات، مانند اختلال وسواسی-اجباری (OCD)، وحشت و نگرانی است. فرض بر این است که تمرینکنندگان درک اصول شناختی رفتاری را درک می کنند و به دنبال کمک های عملی برای درمان هستند. درمانگرها نیاز به درک روشنی از اصول شناختی رفتاری، مهارت های اصلی درمان، یک رابطه خوب درمانی و یک فرمول شناختی رفتاری خوب قبل از استفاده از این کارنامه ها می توانند به صورت مفید و از این رو اخلاقی با مشتریان استفاده کنند. درمانگران پس از آن قادر به انتخاب و انتخاب برگه ها می توانند برای مشتریان مفید باشند. هدف CBT این است که کمک به مردم در برطرف کردن اختلافات احساسی خود را از طریق کمک به آنها شناسایی و تغییر افکار و رفتار خود را. کلمه “شناختی” به افکار، تصاویر، خاطرات و توجه اشاره دارد. اختلالات عاطفی که افراد ممکن است به دنبال CBT باشند، به عنوان مثال، افسردگی، ترس و یا نگرانی هستند. رفتارهایی که می تواند عواقب و علل چنین اختلالات عاطفی باشد نیز می تواند متفاوت باشد؛ آنها شامل کاهش سطح فعالیت، اجتناب از شرایط اجتماعی و یا تمیز کردن بیش از حد است. CBT از نظريه هاي الیس (به عنوان مثال الیس، 1957، 1961، 2001) و بک (به عنوان مثال Beck، 1963، 1964؛ Beck et al، 1979) توسعه یافت. آنها پیشنهاد کردند که تفسیرهای مردم از موقعیت هایی است که موجب ناراحتی و در نتیجه رفتارهای مقابله ای آنها می شود. به عنوان مثال، کسی که خود را بعنوان شکست (شناخت) میبیند ممکن است احساس شرم و افسردگی (احساسات) و جلوگیری از دیگران (رفتار) داشته باشد. چنین رفتار مقابله ای ممکن است تفسیر ها و آشفتگی ها را تقویت کند. به عنوان مثال، اجتناب از دیگران به شخص فرصت کمتری برای دریافت بازخورد مثبت از دیگران می دهد. بدین ترتیب فرد در یک چرخه بدبختی گیر می شود. مدل رفتاری شناختی پیشنهاد می دهد که مردم بتوانند چرخه های بدی را در زندگی فعلی خود شناسایی کنند و سپس افکار و رفتار خود را تغییر دهند تا دچار افسردگی شوند. مثلا انتخاب حوادث زمانی که آنها قادر به دیدار با مردم هستند (رفتار) و در نتیجه دریافت بازخورد مثبت که پس از آن تغییر خود را از خود (شناخت). Strategies for prevention of scars: what can we learn from fetal skin?